Progression to the in vivo screen can quickly demonstrate the team's grasp on the separate "druggable" components and their role in the composite phenomena, or as is often the case, provides evidence for our difficulty in constructing the composite from the individual components. Even more so than with the in vitro assays, results are highly convoluted, even assuming the molecule can be administered in such a way that only its intrinsic properties are being assessed. Unfortunately, the mode, method, dose and composition of the administered delivery vehicle can be intertwined to impact the results. Excipient acceptability for safety and toxicology studies is obvious, but the potential vehicle interferences in pharmacology models can be problematic in certain cases. Similarly, the choice of delivery vehicle, administration route or dose can influence resulting PK parameters and biodistribution as well. The use of appropriate controls and placebos become critical, but still may not avoid an interaction term that arises from the impact of the delivery vehicle on how the animal responds. For example, an excipient may influence transporters, illicit a localized inflammatory response, alter kidney clearance, influence metabolic enzymes, cause nonspecific changes in membrane integrity, cause diarrhea, induce hemolysis, and other things. In fact, the less drug-like the compound, the more likely is the need for more heroic administration strategies and the more important these administration factors become on the outcome. Through a combination of the screening assays and the initial in vivo studies it is important to identify the limiting factors that result in unfavorable drug delivery. In the case of oral drug delivery, the potential factors of solubility, permeability, clearance and stability need to be sorted out prior to extensive work on trying to structurally optimize and overcome the limitation. Unfortunately, or maybe fortunately, these factors all tend to influence one another to some degree. Fortunately, in the sense that balance can be struck and possible synergies sought. Unfortunately, because structural influences may result in physicochemical property changes that are offsetting. If clearance issues are evidenced by metabolic in vitro screens and rapid plasma clearance following IV administration, the potential role of presystemic and first-pass clearance in limiting oral exposure should be delineated before extensive formulation efforts are undertaken to enhance exposure. Oral formulation approaches to address first pass limitations are pretty much limited to lipid based delivery systems which target lymphatic uptake, although they are generally still very selective with respect to the molecule and capacity (i.e. dose amount to be absorbed) (see chapter by Charman et al). More commonly, alternatives other than a formulation strategy are likely to be considered. Prodrug strategies might be viable if the metabolic soft spot can be identified and blocked (see chapter by Stella). Often, alternate administration routes such as subcutaneous, intramuscular, rectal, buccal, transdermal and pulmonary are proposed for high first past clearance drugs. However, all of these routes are either much more invasive or restricted to use of much lower doses (i.e. typically below 20 mg). The co-dosing of metabolic enzyme inhibitors can be undertaken at the concept testing stage to help verify the importance, or lack thereof, for a particular metabolic pathway. Except in the case of a clear unmet medical need, the requirement to use a metabolic inhibitor to get exposure will likely spell termination for candidate. 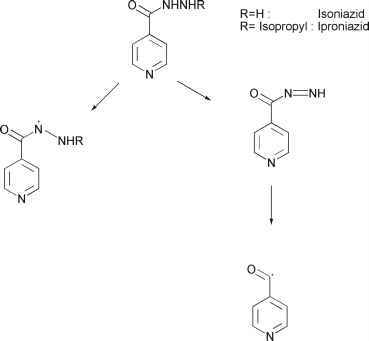 If chemical instability of the compound under acidic conditions mimicking the gastric conditions is indicated, it may be possible to consider the use of animal models where inhibitors of acid secretion, such as omeprazole, are predosed to the animals. This might allow for a better understanding of whether overcoming the acid instability would likely provide the necessary oral exposure. If necessary, later screening could consider formulation strategies that utilize enteric-coated systems for acid-labile compounds, although engineering of the acid-lability out of the molecule during optimization should be the first choice. Enzymatic lability in GI fluids can sometimes occur and will be a difficult challenge to overcome. While some work has been done with enzymatic inhibitors to inhibit enzymes in the GI fluids, the results are often variable, and hence not regarded as a viable long term strategy to overcome this difficulty; instead, the enzymatic-lability in GI fluids should be optimized out of the molecule. Even though, solubility and permeability are very closely linked and the interplay between them can often make it difficult to sort out the relative importance of each as limiting factors, it is very valuable to understand the interplay to effectively guide drug design. While many elaborate models have been devised to better understand the relationship between these factors, their complexity and need for numerous input functions, which are not available at the lead optimization stage, make them difficult to use. Simpler models such as the absorption potential model of Dressman and coworkers (1984; 1985) and the maximum absorbed dose (MAD) model outlined by Johnson and Swindell (1996), are more reasonable for application at very early stages. Further discussion of models and their application to understanding the interplay of solubility, dissolution, dose and permeability is discussed in the following chapter by Rohrs. The typically inverse relationship of most structural modifications on passive permeation and aqueous solubility provide the impetus to use simple models that can describe the net effect of modifications on drug absorption. As pointed out by Curatolo (1998), the application of a model such as MAD at the optimization phase can provide guidance with respect to the level of solubility or permeability enhancement that might be needed for a given template. He makes the point that the absorption rate (related to permeability) can realistically vary over about a 50fold range, whereas solubility can vary by as much as 100,000-fold, making solubility in many ways an easier target to focus on for the medicinal chemist. However, there is a tendency for potency and permeability to be impacted similarly by structural modifications, hence favoring increases in molecular potency and permeability while sacrificing solubility. One of the additional advantages of the MAD calculation is that it allows one to quickly see the impact that dose might have, in addition to permeability and solubility, on the fraction of dosed compound absorbed. Although the MAD model was initially developed to provide estimates of drug absorption in man, it can also be used, with appropriate parameterization, to anticipate the solubility and permeability interplay in the commonly used lead optimization model of the rat, which in turn, provides valuable feedback into the lead optimization loop regarding potential exposure issues (Hilgers et al. ; 2003). The investigators were careful to evaluate the potential role that differences in clearance of the analogs might play in the percent bioavailability (the typical experimental measurement that is made in animal studies). This points out one of the difficult aspects of applying a model such as MAD to a very chemically diverse subset of structures, particularly in a prospective fashion. Hilgers and coworkers (2003) were able to effectively use CACO-2 cell permeability information to convert to absorption rates for the rat model (based on previously determined relationship between a CACO-2 permeability values and rate of absorption in a rat model). Not too surprisingly, they saw a poor correlation between permeability alone and the bioavailability, but when the solubility was included via the MAD model, they were able to generate useful information for prioritization of compounds with respect to their oral absorption potential. It was also observed that in cases where the extent of absorption was underestimated, it was typically for very low water solubility compounds which have higher solubilities in more GI-like media, i.e. easily solubilized by presence of low levels of surfactants. This is a challenge we continue to grapple with; what is the most relevant solubility number or solubility media to use with respect to compound absorption? There may be many reasons that a compound does not have appropriate permeability properties and it is outside of the scope of this chapter to explore all of those. The reader is directed toward chapters in this book by Burton, Hochman and Thakker for more information on permeability. There are also some good reviews in this area that can provide an overview for this extensively studied area, for which many unanswered questions still exist (Conradi et al. 1996; Camenisch et al. 1996).